The Kansas City Royals have agreed to acquire Oakland Athletics utilityman Ben Zobrist, according to Ken Rosenthal of FOX Sports. This makes the second big deal the Royals have accomplished this summer having picked up Johnny Cueto from the Reds in an earlier deal . Between Cueto and Zobrist, the Royals have made two significant upgrades without sacrificing much off their major league roster.Prospects Aaron Brooks and Sean Manaea are the two players heading back to the A’s. Zobrist, 34, is hitting .268/.354/.447 with 20 doubles, six home runs, 33 walks and 26 strikeouts in 67 games for Oakland this season. He missed some time with minor knee surgery a few weeks ago. 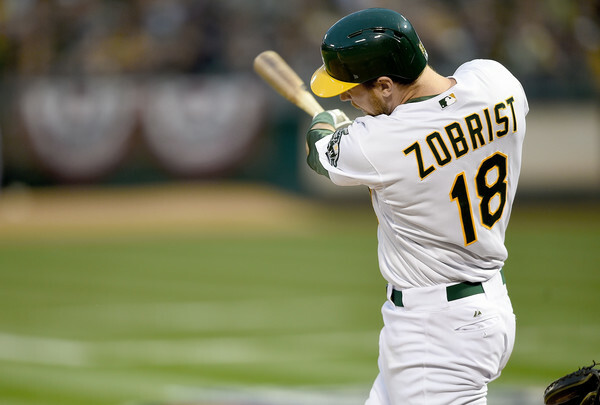 The A’s acquired Zobrist from the Rays. Kansas City comes into Tuesday with a 60-38 record. They have a eight-game lead in the AL Central.